Sometimes, you realise all the flower shops around you are closed. Or, you want to give a really special bouquet to a really special person. Or, you want to get married in library style. This one is for you. Genius, I know. 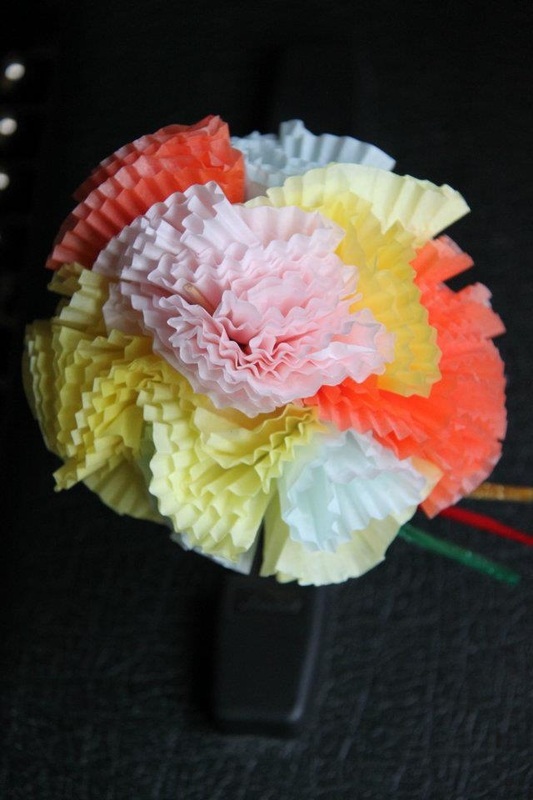 Just simple cupcake liners, stapled or tied together, attached to squewers. If you are going for a fancer bouquet, you can actually wrap them in cellofane. And spray the base with rose oil. Or flowery parfum (I'm thinking violets).